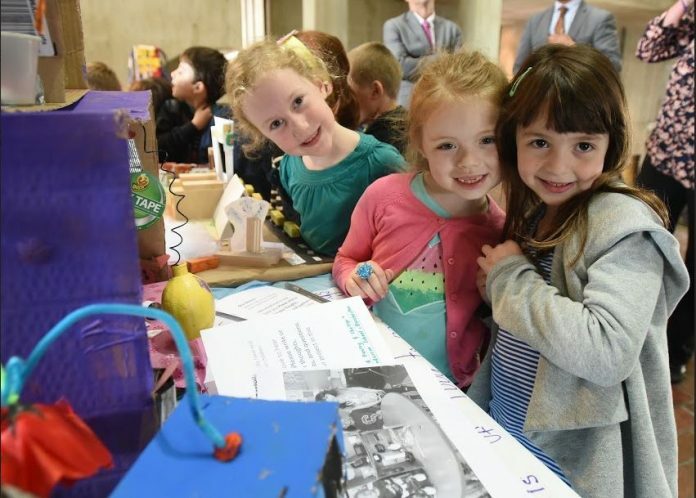 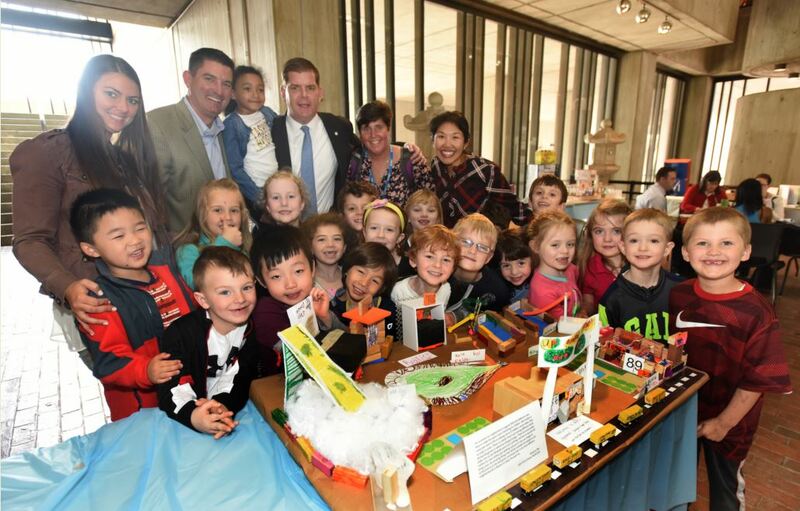 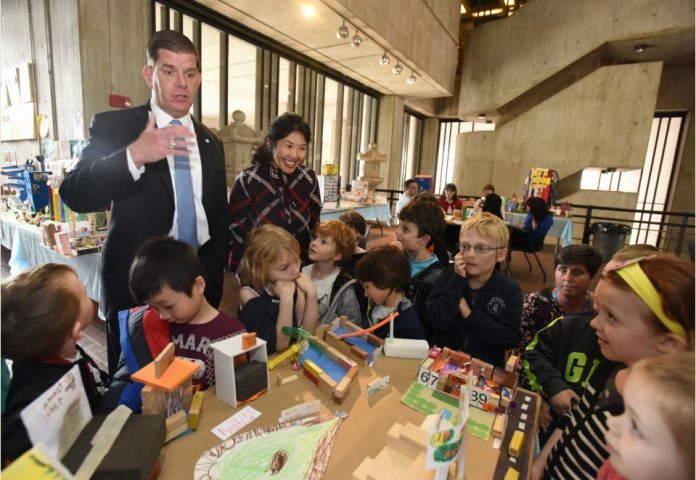 The Kindergarten class at the Eliot School came to City Hall to present their “Our Boston” project to Mayor Walsh on Friday. The students were engaged in explaining their dream park and posed thoughtful questions to the Mayor. 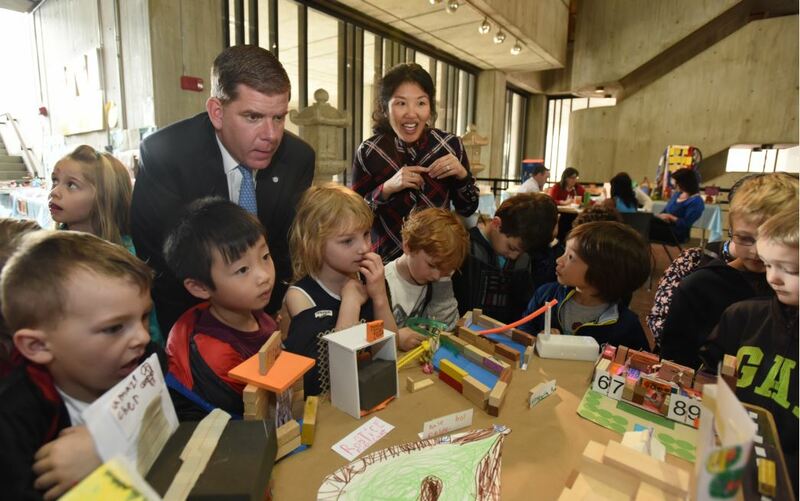 Photos by Isabel Leon of the Mayor’s Office.